2019 Shanghai Wedding Expo was held from Jan. 9th to Jan.11th. 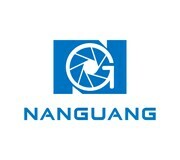 This time, Nanguang was at 2E05 and 1G06. Now, let's have some review of the exhibition. This time，in order to help customers can experience and test the NANGUANG lights, we created 6 different shooting scenes in this show. There are professional photography studio, RGB studio, makeup area, high-end still life photography, children photography area, baby photography area. This scene is the most popular area of the exhibition. The scene uses P200WII Fresnel light for light spot processing, at the same time add the color effects of TRGB1208B and TRGB1212B tube lights, and the special KT grille board simulates daylight shooting. The whole scene is not just like commercial shooting scene, but also provide the new ideas for the creative portrait shooting in 2019. There are two scenes in this area, one is for live streaming, the other one is for markup photography, it can show the actual and vivid color and makeup effect. Commercial advertisement now is not only to present the object but also have to create the atmosphere; We can find that the background is light blue and the object is clear from the background, the tube in two side of the object can create the stripes on the bottle, which make it looks more upscale.